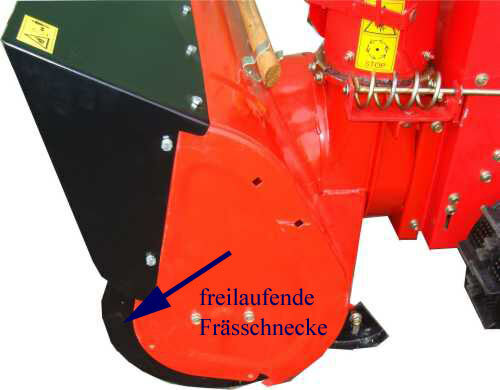 3.500,00 EUR 19 % VAT incl. 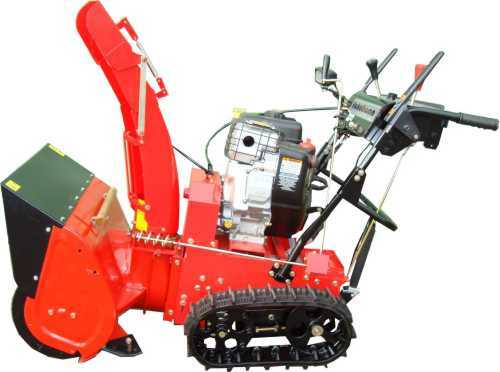 Since the foundation of our company 1989 we devote ourselves with rising success to the sales of winter service devices. The track is especially long and wide in order to achieve a good contact surface. The contact surface is 38 cm. 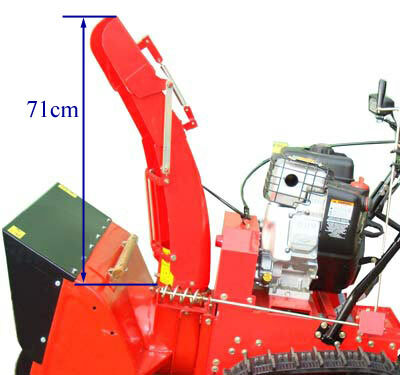 The width of the track chain is 12 cm. 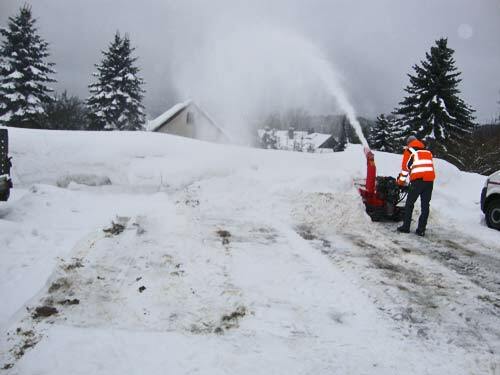 Thus, the snowblower has good traction and does not slide quickly. 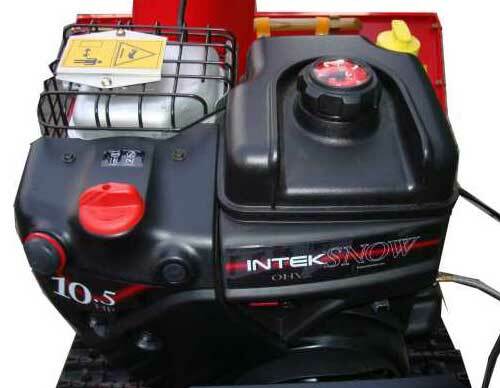 The motor is powered by a Briggs &Stratton Snow Engine 10.5PS max. performance. 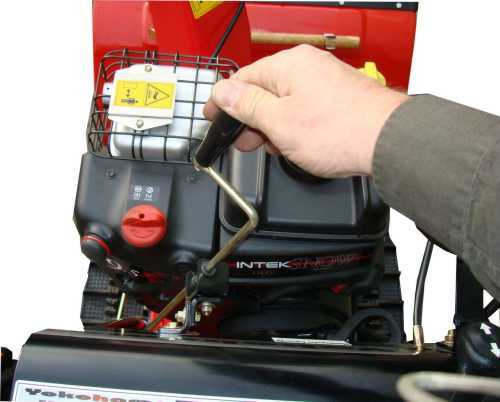 Briggs & Stratton is the world's largest manufacturer of small engines. 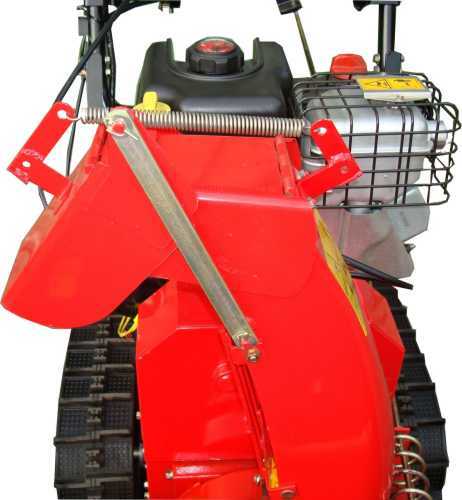 The chute can be easily rotated with one hand, without great effort. 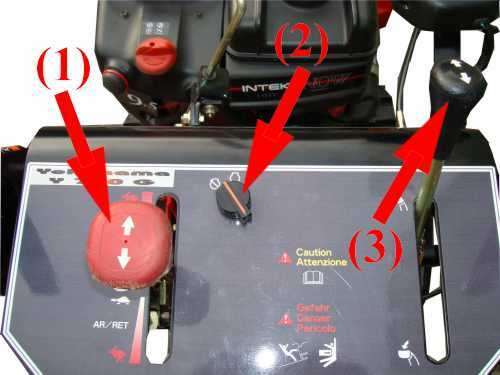 This means you only need to press the hand lightly on the handle and you can easily pivot the chute. Through the long and lean chute the snow is ejected bundled and not only thrown wide. The self-weight of 155 kg of says it all. 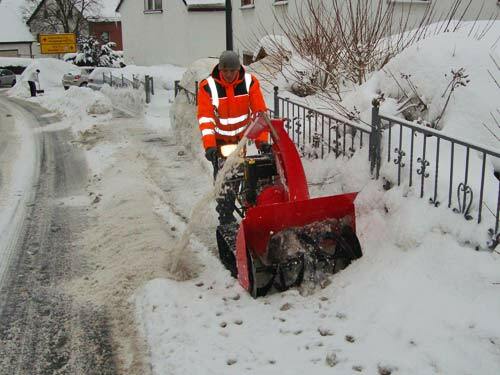 Despite the heavy weight, the wide surface of the snow chains causes an easy turn by hand. 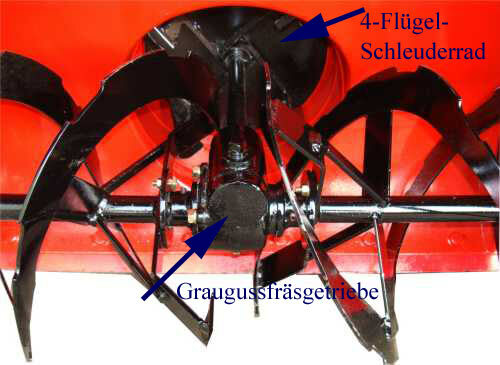 The ejection power is enormous, because the impeller is equipped with 4 blades a 11 cm long. 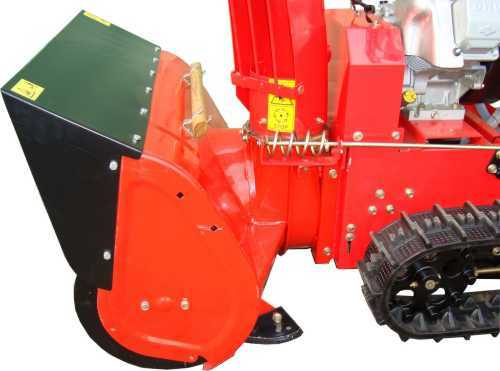 Other manufacturers use 3 impellers 8.5 cm in length. The discharge chute is round and has a large diameter of 13.5 cm. 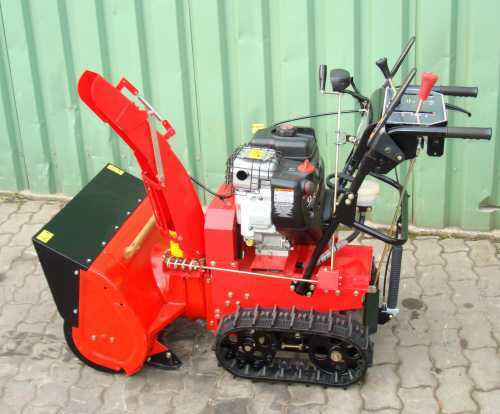 Supplied as standard is the snowblower with manual start and Recoilstart.